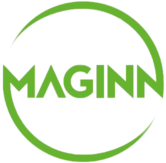 Maginn Machinery LTD operates the www.maginn.ie website, which provides the SERVICE. This page is used to inform website visitors regarding our policies with the collection, use, and disclosure of Personal Information if anyone decided to use our Service, the www.maginn.ie website. We may from time to time send emails to you on special offers and products we feel will benefit you. We use trusted email marketing companies such as Constant Contact which will allow you to opt out.